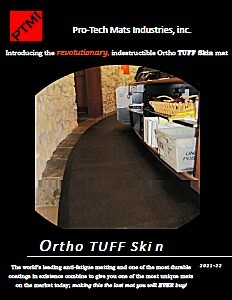 The Ortho TUFF Skin Signature Series Mat is the ultimate anti-fatigue solution for personal comfort. 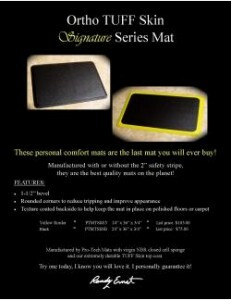 This orthopedic wonder will be the last mat you will ever buy! Manufactured with or without the 2” safety stripe, they are the best quality mats on the planet! For all areas requiring personal comfort while doing stand-up tasks.